Rock climber Paige Claassen scales her way up sheer rock faces four to five days a week. 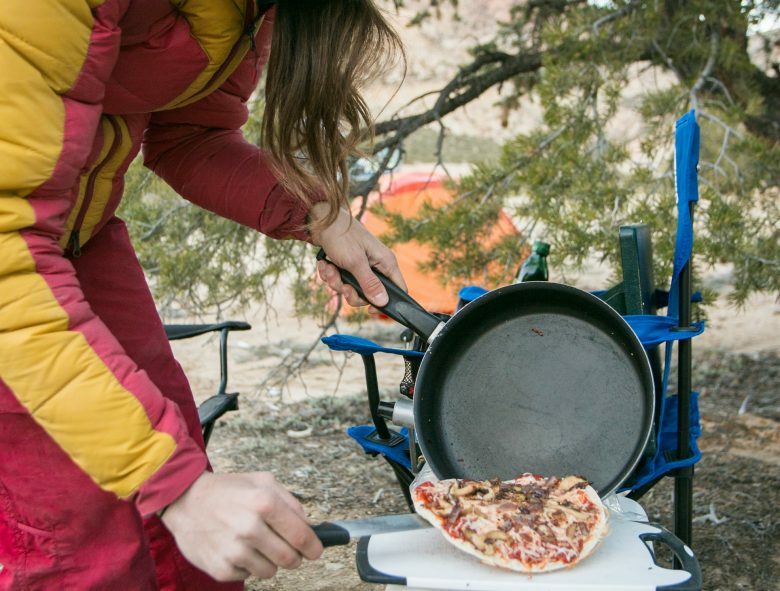 After her legs have had enough and her hand calluses are burning, there’s nothing she loves more than whipping up a meal in the great outdoors. Day and time: Friday night, 6:53 p.m.
Why I’m eating it: Tortilla Pizza has a lot of selling points. 1) It only requires one pan. 2) Ingredients are easy to find. 3) Topping options are limitless. (Tonight, I’m going with caramelized onions and shiitake mushrooms). 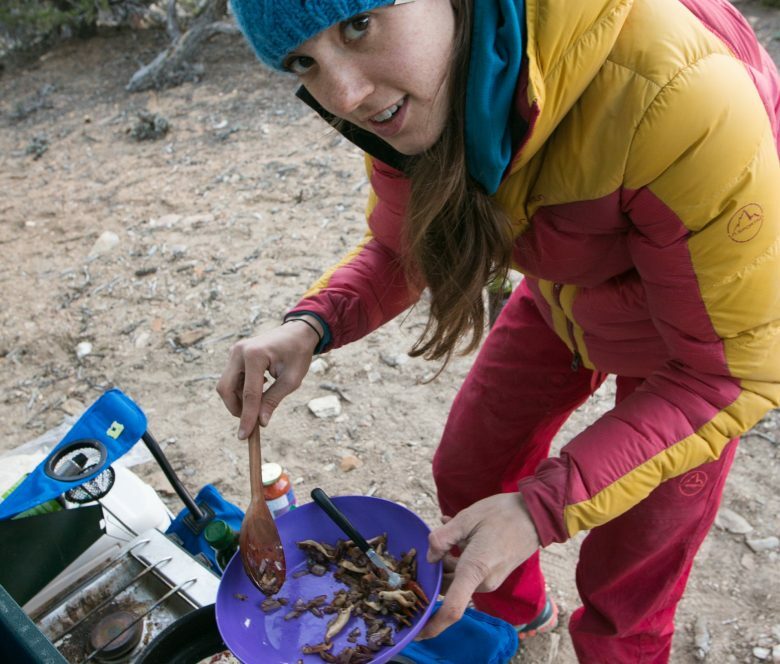 It’s also a great camping meal because it provides instant gratification, but it also takes a long time. Let me explain. After a long day of climbing, three unfortunate things happen: the sun disappears, everyone gets cold, and I get super hangry. Tortilla Pizza comes together pretty quickly, so I can jumpstart my tank. But I’ll likely need to make more than one to feed everyone in the group, which means I’ll be assembling and cooking pizzas for a while. This is a benefit because it keeps me busy, rather than just sitting and freezing. I enjoy cooking, so I’d rather cook and chat than sit and chat. Choose a large pan that can fit your tortilla. Sauté veggies or meat in a bit of olive oil. Transfer to spare dish. A bit of sizzling butter or olive oil will help your pizza crisp. Place tortilla in the pan, spread with sauce, sprinkle with cheese and cover with toppings. Cook on medium heat until golden brown on the bottom (3-4 minutes). Covering the pan with a lid, dish or spare pan will help the cheese to melt more evenly. Slice, eat, repeat.